Thank you for taking the time to explore the benefits of this work. The philosophy is based on a very simple concept. The focus is on helping people to be the best they can be. Because Alphalign works with the source rather than the symptoms, the concepts and techniques are simple and direct. Ironically modern western society loves the technical and complicated, so this website is dedicated to getting back to basics, clarity, self-empowerment, and doing what works! On the following pages, you will find all the basic information about Alphalign - what it is, and what it is not. There is a page of testimonials so you can read about other peoples' experiences. 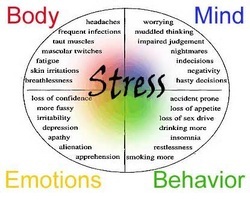 There are articles on stress and how it affects us. There are additional resources you might find helpful, and of course, contact information. This site will be updated regularly, so add your name to the mailing list to be kept up to date. Alphalign has partnered with Hands for Heroes to help heal our nation's protectors, our service men and women. Over 200 sessions gifted so far.